Penfield volunteer firefighters were called out just after 4PM on Christmas for the report of a car crash on Route 250 just north of Whalen. 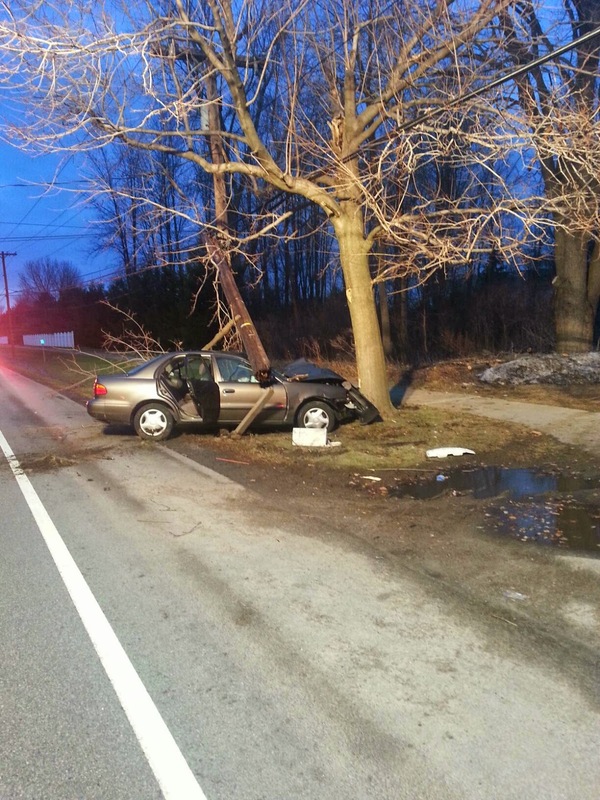 As updates came in firefighters were notified that it was a one car crash into a telephone pole and tree with a victim trapped. First arriving chiefs assessed the situation determining that the driver was trapped but more importantly that there was an electrical hazard from the damaged telephone pole. 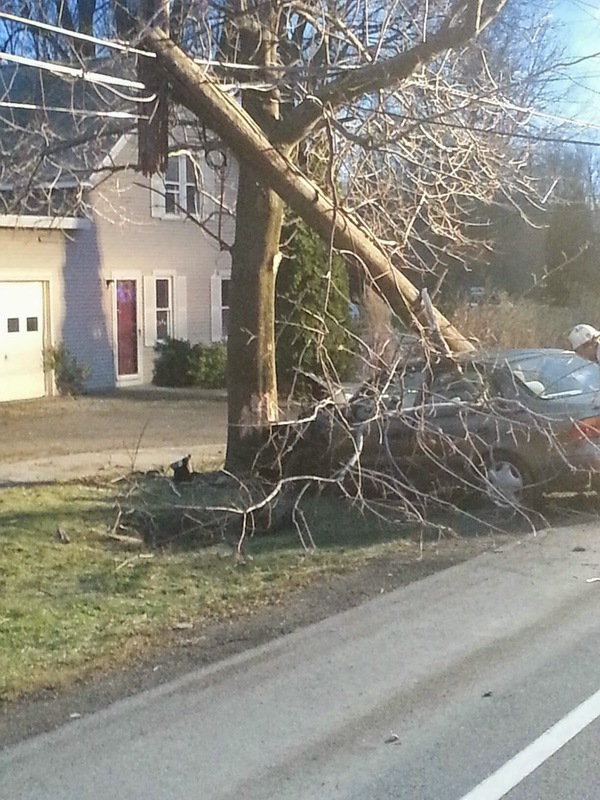 The chief reported seeing electrical arching from the power lines to the tree the vehicle was resting against. This would delay the rescue efforts while crews stood by waiting for RG&E to cut the power. Once the power was cut and it was safe to work on the vehicle firefighters used the Jaws of Life to cut open the driver's side door to gain access to the victim. The victim was then transported to a local hospital.